For marketers, Cannes will be the place to be from June 21-27. And, frankly, when isn’t Cannes, the jewel of the Cote d’Azure, the place to be for marketers? Or for anyone else? Next week, Cannes will be particularly attractive to marketers when it hosts the Cannes Lions International Festival of Creativity. 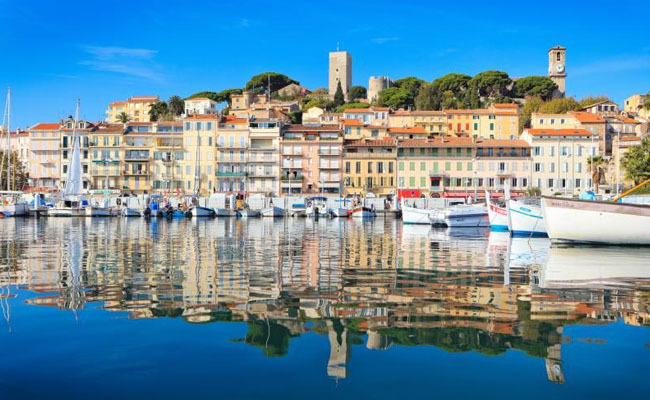 The marketers in attendance will have to make some tough choices on where to spend their time in Cannes: at illuminating festival sessions, at glamorous galas, at elegant restaurants, or on the world-famous beach. This session makes the case that there is a creative renaissance going on as digital, mobile, and the Internet of Things make creativity more in demand. The panelists are Gerry Graf, Founder, Chief Creative Officer, Barton F. Graf 9000; Jessica Walsh, Art Director, Designer, Partner, Sagmeister & Walsh; and John Travis, Vice President, Brand Marketing, Adobe. This session examines how marketers can adapt to the 2 billion Millennials in the world who have $1 trillion in spending power. The panelists are Evan Spiegel, Co-Founder, CEO, Snapchat, and Joanna Coles, Editor-in-Chief, Cosmopolitan. Recording artist Marilyn Manson discusses the power of creativity to divide and frighten with Grey Group’s Worldwide Chief Creative Officer Tor Myhren. A gala. In Cannes. On the shores of the Mediterranean. Sounds like a don’t-you-dare-miss-it opportunity to Connect in Cannes. This patisserie is the spot to fulfill your craving for French pastry. The establishment is named after Jerome de Oliveira, an award-winning pastry chef. Pharrell Williams, who collaborated with Daft Punk to create the smash hit “Get Lucky,” will discuss the power of collaboration in creativity. Bob Pittman, Chairman, CEO, iHeartMedia, will also be a part of this seminar. Experts share tips and tricks to make your LinkedIn profile shine. We’ll also have photographers on hand to take professional headshots for your profile. This service is also available Wednesday and Thursday at the LinkedIn ClubHouse from 11am-3pm. Jason Miller, Senior Manager-Content Marketing at LinkedIn, will share the lessons he’s learned while leading content and driving revenue first at Marketo and now at LinkedIn. At noon, Miller will immediately follow his presentation with a special live “Sophisticated Marketer’s Podcast,” where he will interview John Mescall, Chief Creative Officer of McCann. In this Fireside chat, The Economist's Media Editor, Alexandra Suich, will interview LinkedIn CEO Jeff Weiner, who will examine how LinkedIn is striving to create meaningful connections between people and how marketers should be thinking about engaging with professionals across their various screens. This restaurant, located in Le Grand Hotel Cannes, features gorgeous views of the Mediterranean Sea. The chef, Sebastien Broda, is passionate about creating dishes using seasonal ingredients. 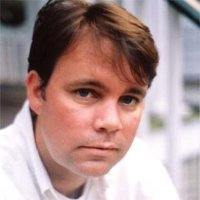 Russell Glass, head of products for LinkedIn Marketing Solutions and author of The Big Data-Driven Business, will head a panel that will discuss the evolving role data plays in creativity. James Murdoch, co-COO of 21st Century Fox will address the secrets to breakthrough content in an interview conducted by Alexandra Suich, Media Editor, The Economist. Executives from Heineken reveal their brew for award-winning creativity: the right partners, the right culture, and the right creative leadership. The presents are Gianluca Di Tondo, Senior Brand Director, Global Heineken® Brand, Heineken, and Søren Hagh, Executive Director Global Marketing, Heineken. Former U.S. Vice President Al Gore and WPP CEO Martin Sorrell discuss whether creativity can have an impact in the debate over climate change. This convivial bistro is a perfect spot for a glass of rose at the end of the day or at the end of the festival. La Bouche a Oreille is located a few blocks from the Boulevard de la Croisette, which runs along the beachfront.